Wherever there is hard work and hard times there is song. It lightens the labor, coordinates the muscles of dozens of men and often gives working men their only opportunity to express their feelings about the hard masters they serve. These are the songs of the sailors who served on merchants ships during the last few hundred years. They include working shanties, songs of bravery and powerfully sentimental ballads by hard men. We sing these songs because we like them. Our style is in sympathy with the traditional origins of this music and our own considerable experience and the love of the sea. 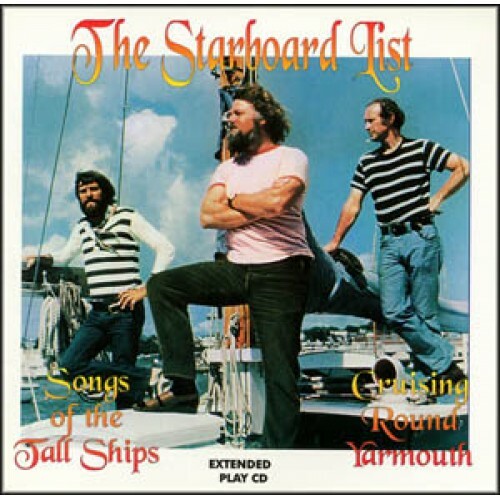 Starboard List members are Charles O'Hegarty, David Jones and Peter Marston. They are assisted by friends: Brian Brooks, Dan Milner, John Townley, Christine Townley, Jerry Epstein, Tom Cerone, Sylven Seid and John Kilgore.